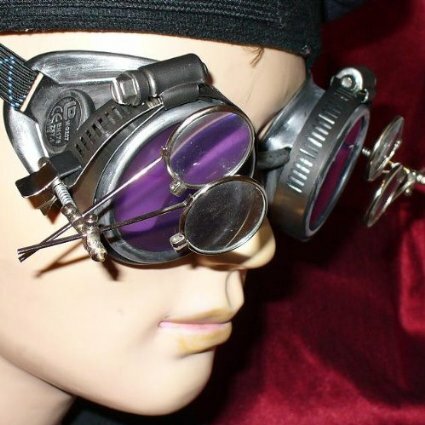 These silver Mardi Gras goggles have magnifying eye loupes, complemented with silver trinkets and straps. Purple lenses add a serious pop of color. 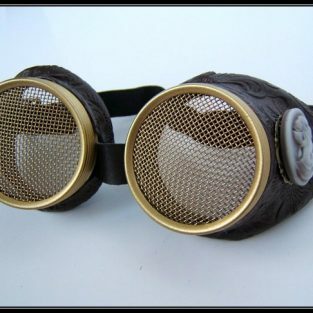 These Mardi Gras inspired goggles are best described as crazy and awesome! 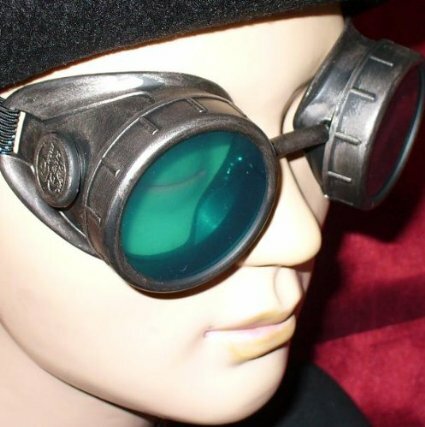 the silver colored goggles are accented with silver trinkets and straps. 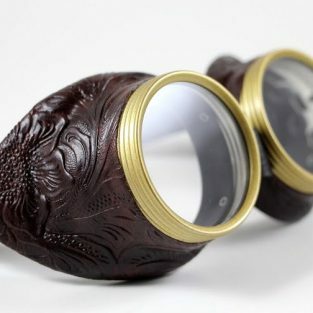 The most noticeable accent are the magnifying eye loupes, which actually work! 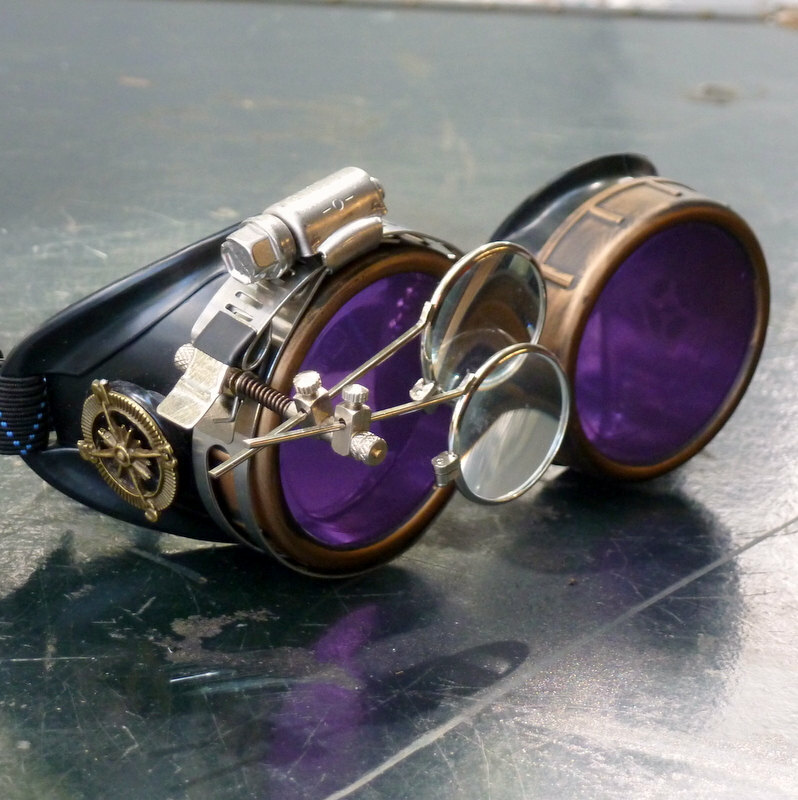 Purple being the color of royalty, it’s safe to say that these goggles are royally edgy and cool. 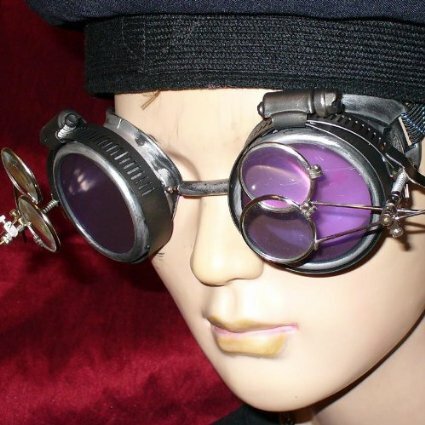 Make a serious statement at an event like the Steampunk World’s Fair! 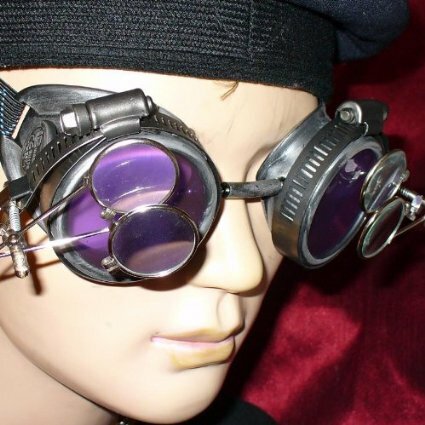 Be the first to review “Silver Steampunk Goggles – Magnifying Eye Loupes & Purple Lenses” Click here to cancel reply.